How secure is your home, is it protected? I do not just mean from disasters but intruders. You need to make sure nothing can hurt those you love and that they are protected at all times, be it a fire or any outside intruder. Please go over our tips to better help keep you safe and your family. Moreover, if you have any further questions after this you can contact us for more information. If you are going away on holiday, you need to make sure that your home looks like there are people inside by using automatic timers which can help to turn on electrical devices at any given time. This can give others the illusion that you are home. Choose a deadbolt locking mechanism over a latch lock. The latch lock is pretty easy to bypass for burglars that are experienced. A simple credit card can quickly open a lock. The deadbolt will prevent simple entry. Deadbolts are vulnerable to bypassing only when there is a bit of space in between your door and your door archway for intruders to use tools. Before you go to sleep, make sure you close your blinds. In addition to giving you a peace of mind, this stops people from prying inside to see what you have. Having your curtains open, pretty much shows everyone what you have inside the house. Keep your garden cut low and trimmed, don’t have any tall trees or bushes near the windows. Try to keep a clear space. Do not leave your house keys under your doormat or any pots, etc. as many intruders will look in these types of spots for keys. If you have been the victim of an unfortunate robbery, you will probably be thinking to get a CCTV Camera System installed, and/or an alarm system so that you can be notified of anyone outside that could be trying to get into your property. Keep your vehicle in your garage should you have one. It will not end up being vandalised or stolen in this manner. Keeping your car out of view is also a sensible way to prevent intruders from identifying whether you are home or not. With regards to making your house more secure, one clear spot to start on is your front door. If you do not have a high-quality lock on your door at the moment, get one installed today. Don’t put your name on your mailbox. This gives the intruder some information to work with. They could easily call the phone directory using your name to get your phone details. Then, they will attempt to call you to find out if you are home or not. One of the greatest ways to keep your home secure is to get to know your next door neighbours. Your Neighbours will help to look after your home in the event you leave to go on holiday. Also, getting to know your neighbours is an excellent way to find out what is happening in your neighbourhood. They will spread gossip and let you know if strangers have been around and provide any additional useful information so you can keep your home safe. Moreover, remember if you move to a place that was occupied before, you should switch the locks right away. As other tenants could have copied the key and could return and open your door. 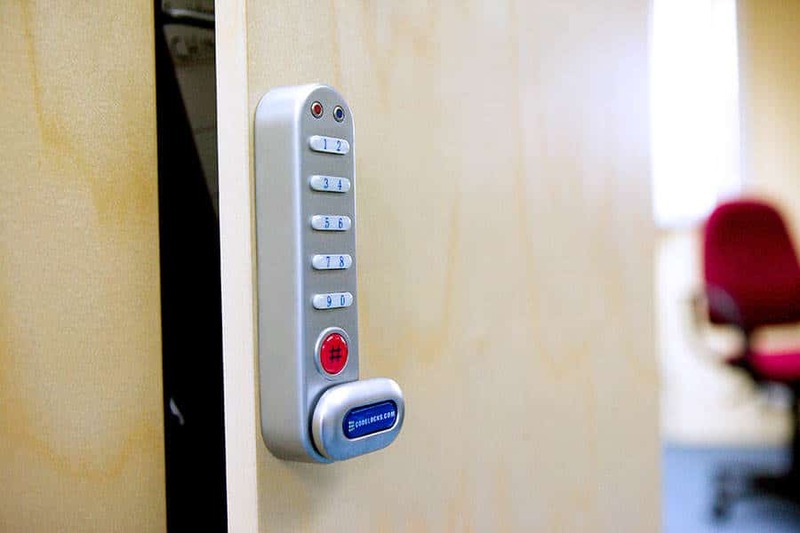 Contact The Lock Guy today if you would like assistance of a Locksmith Melbourne with securing your home!